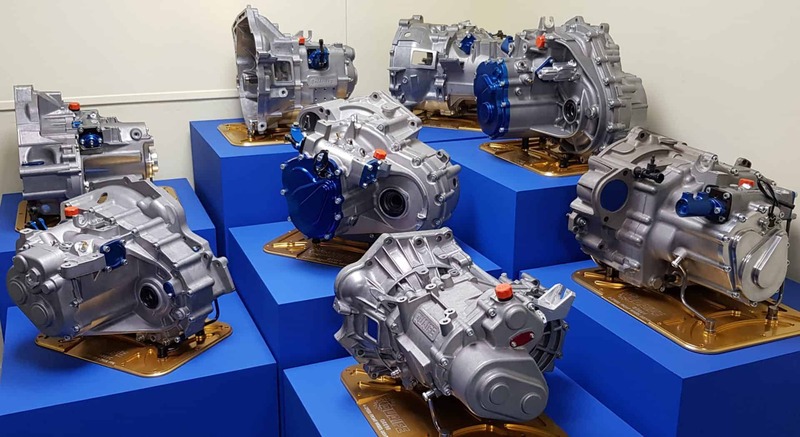 When a production based car or motorcycle is subjected to competition, fast road, or trackday use the reliability and performance compromises of a standard manufacturer's gearbox can swiftly be exposed. 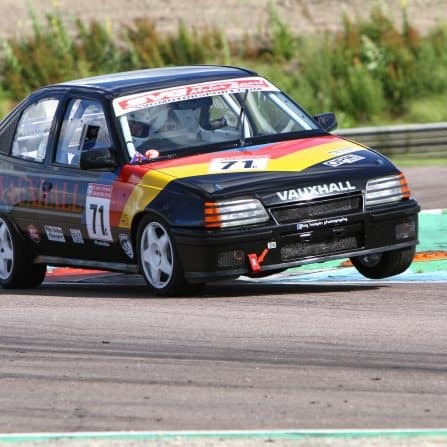 However, Quaife’s expertise with high performance drivetrain technology has the solution to this problem. 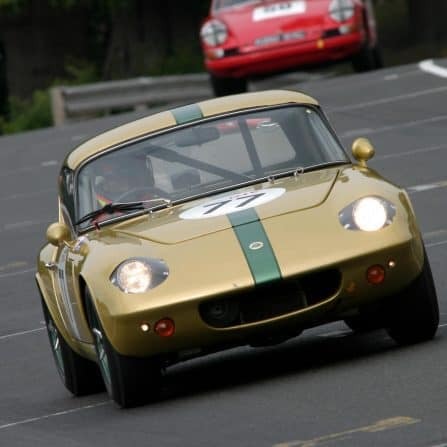 Since the 1960’s Quaife has offered an ever-expanding range of uprated replacement close-ratio motorsport gearkits for popular motorcycle and car applications, covering a wide variety of budgets, applications and motorsport requirements. 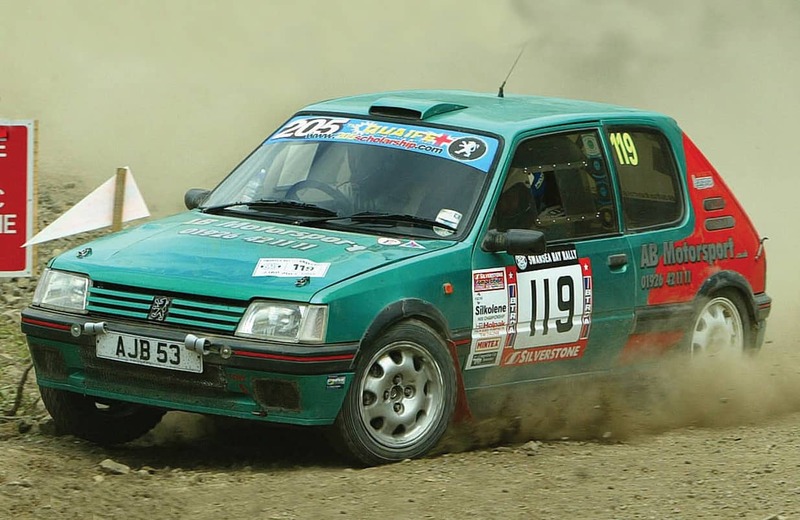 Used globally at all levels of competition, Quaife motorsport gearkits optimise vehicle performance and reliability through a ‘no-compromises’ approach to research and development, initial design, materials selection, precision manufacturing techniques and quality control. 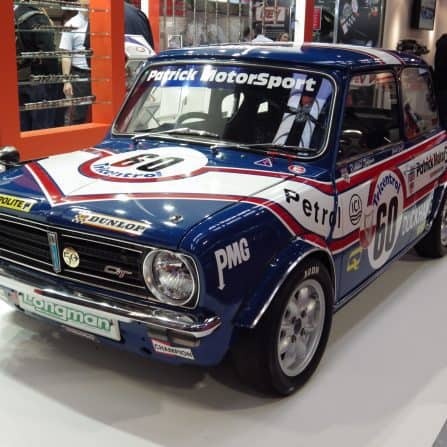 Quaife’s close ratio synchromesh motorsport gearkits are the entry-level transmission upgrade for production based cars and are available in either helical or straight-cut gear formats. 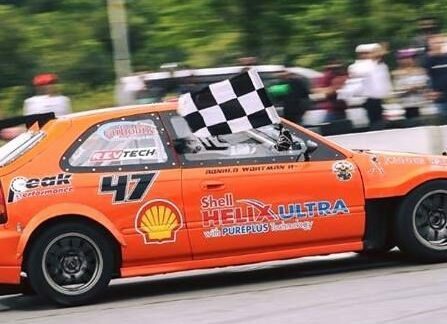 Compared to standard production gear profiles, Quaife’s helical (and semi-helical) synchromesh motorsport gearkits reduce the angle (helix) that the gear teeth are machined at relative to the gear shafts. 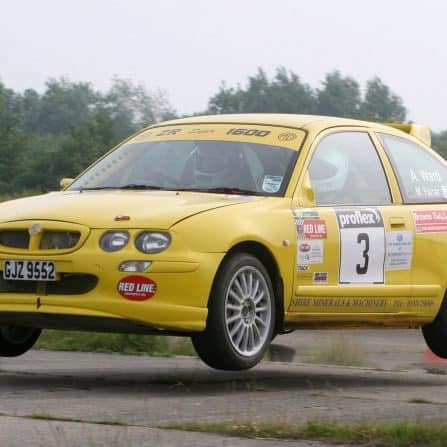 This can improve reliability by reducing bearing stress, cuts parasitic transmission losses to increase performance and, courtesy of Quaife’s tooth form design, greatly improves strength. Quaife ‘straight-cut’ (or ‘spur’) synchromesh motorsport gearkits feature ratios where each tooth is machined at angle straight across the gear, enabling torque loadings to be transmitted at right angles to the main gearbox bearings. 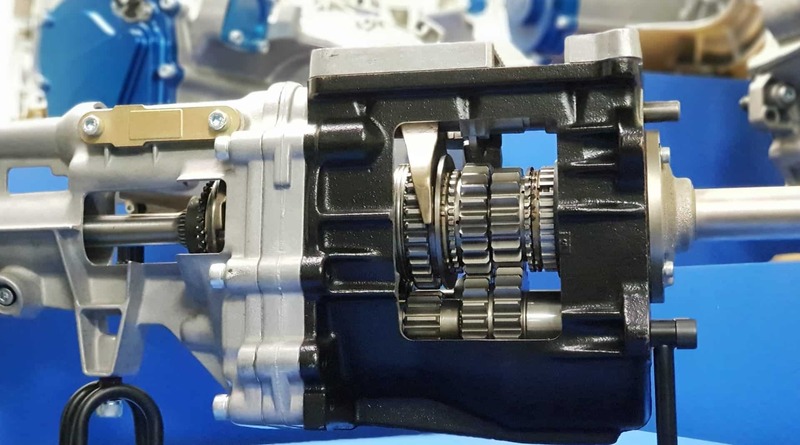 This has the potential to increase gearbox durability and reduces parasitic transmission power losses to a minimum, meaning more engine power is delivered to the car’s driven wheels. 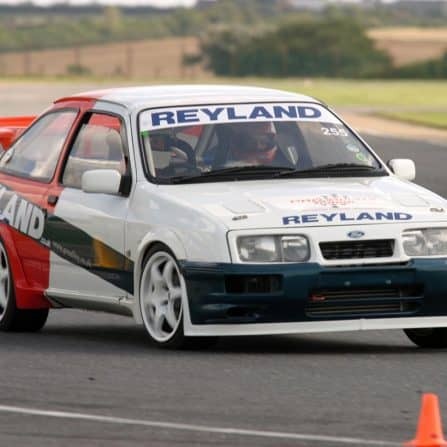 Standard production car gear ratios are frequently designed as a compromise between fuel economy, noise and motorway cruising and are often unsuited to circuit, rally or trackday use. 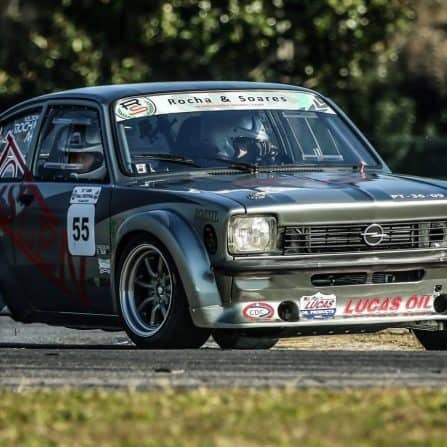 Quaife helical and straight-cut synchromesh gearkits feature close ratio gears, enabling drivers to easily keep the engine operating in its powerband, with minimal rev drops between gearshifts. 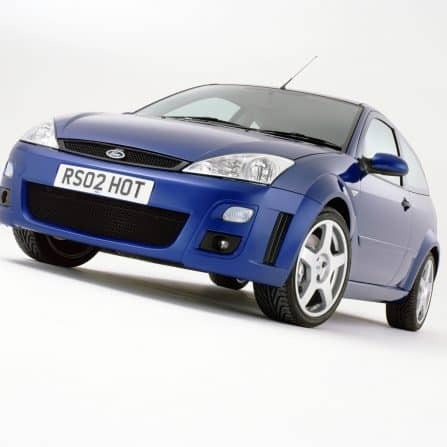 On highly tuned, high revving engines, this greatly improves vehicle performance. 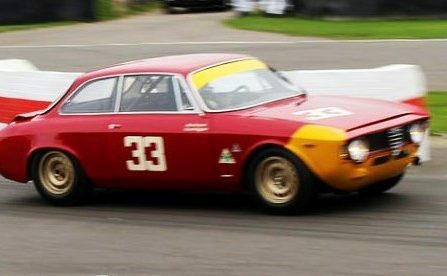 Where possible, certain Quaife synchromesh gearkit applications convert a standard five-speed gearbox into a six-speed close ratio unit to fully maximise the potential of the car’s powertrain package. 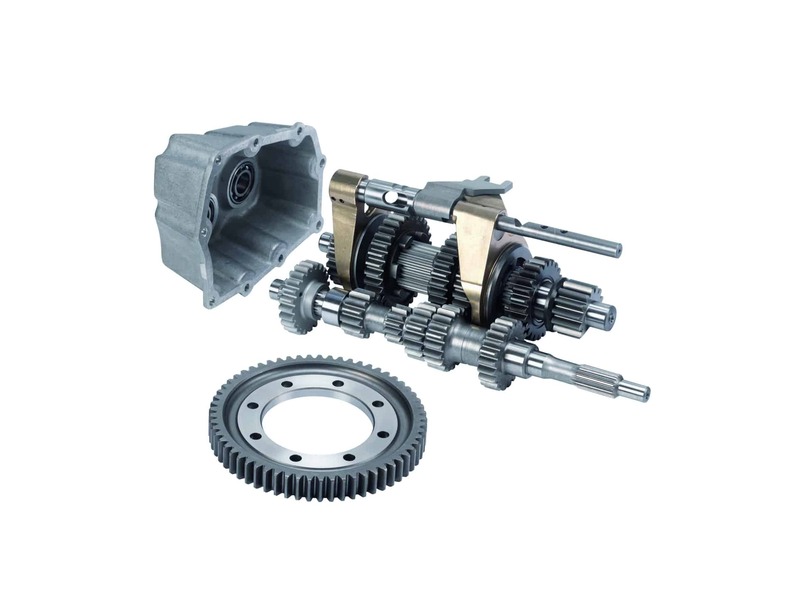 The vast majority of Quaife helical and straight-cut close ratio motorsport gearkits can be installed into a standard production gearbox casing with few, if any modifications required. For many applications, a choice of Quaife final drive ratios is available. For product selection advice from our synchromesh gearkit range please contact our Technical Sales Team. 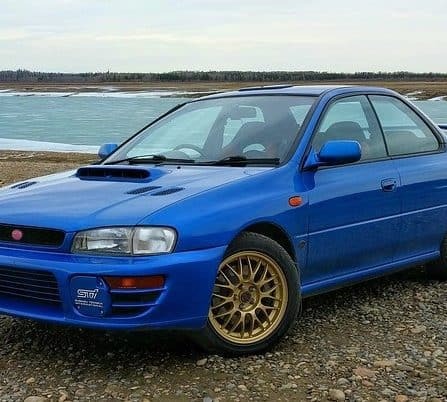 These ‘dogs’ interlock with each other to provide a stronger, more positive gearshift than is physically possible using a synchromesh arrangement, which can easily be ‘beaten’ during a fast shift and is ultimately likely to fail if continually abused. In ‘H-pattern’ format, the real limiting factory on gearshift speed with a Quaife dog engagement gearkit is driver ability. 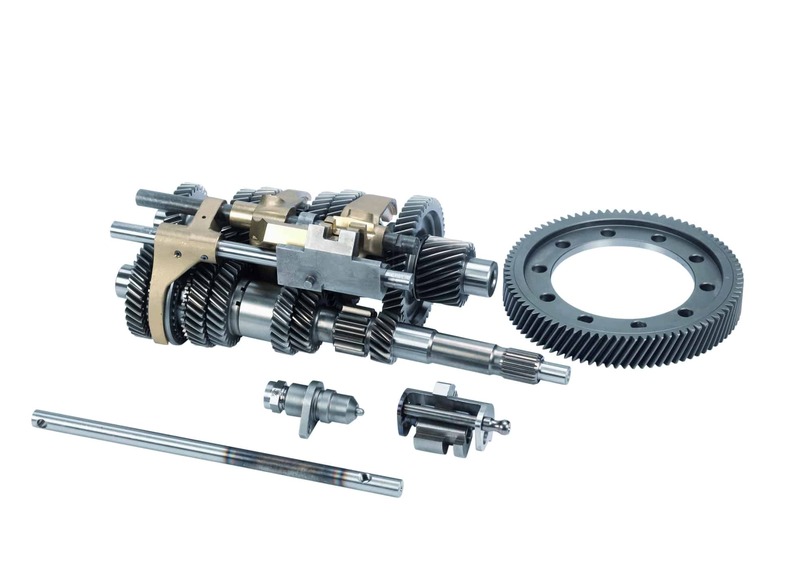 Featuring power loss reducing straight-cut (spur) close-ratio gears with advanced high-strength tooth forms, (and in the majority of cases), a choice of final drive ratios, Quaife dog-engagement gearkits are supplied with larger, high durability selector forks that replace the standard items. 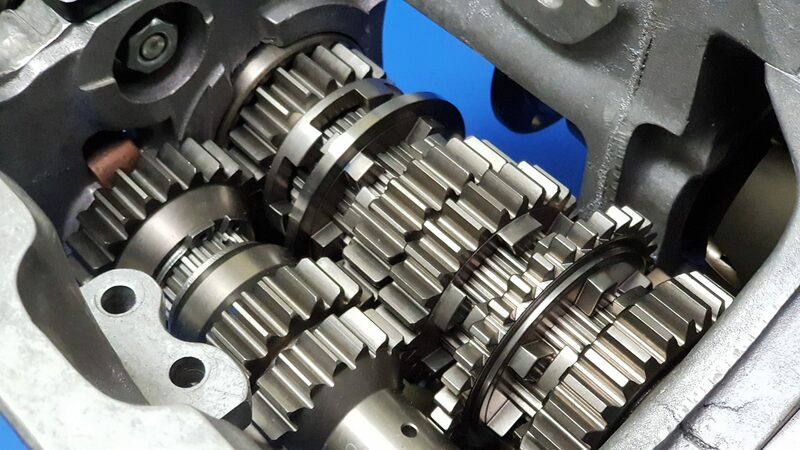 For this reason, (and because some Quaife dog engagement gearkits convert a factory five-speed unit into six-speed unit), various machining processes may be required on the original production gearbox main casing to enable product installation. For product selection advice from the Quaife dog engagement gearkit range, please contact our Technical Sales Team. 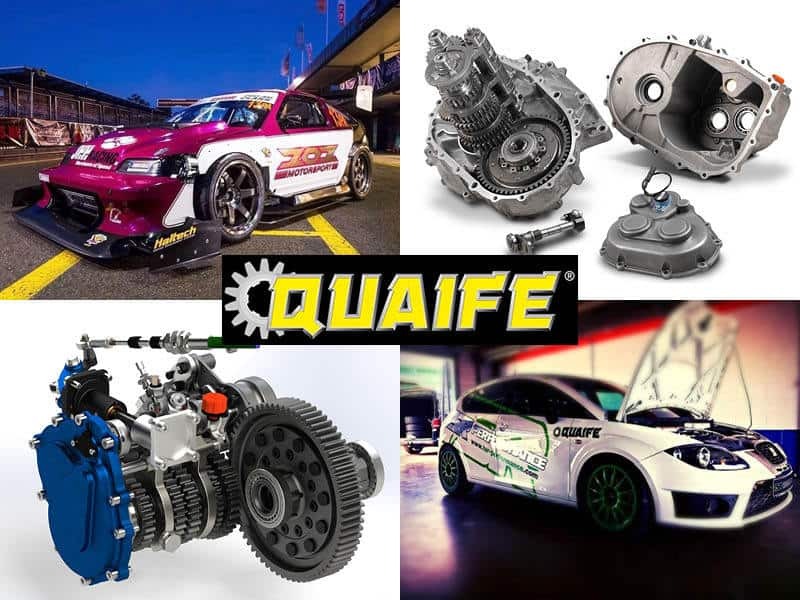 For the ultimate in no-compromises gearchange technology, Quaife has designed a range of sequential gearkit packages for a number of popular vehicles including the Lotus Elise/Exige (PG1 and Toyota C64/EC60 gearbox codes), the Ford IB5 (Fiesta ST150, Focus, Ka etc), plus the Honda Civic Type R (EP3 and FN2 models). 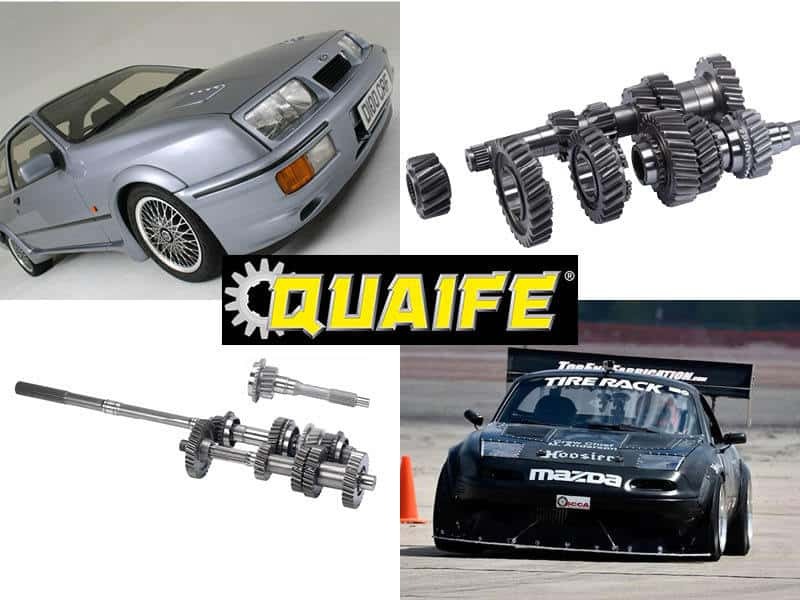 Innovative, high quality, reliable and offering outstanding performance and value, these comprehensive Quaife sequential gearkit packages have been designed to enable a straightforward installation into these applications with the maximum retention of standard drivetrain components. Incorporating dog engagement, and in some cases wider than standard close ratio gears with advanced tooth forms in either straight-cut (spur) or helical formats, Quaife’s sequential technology means that gear selection is executed by a simple push or pull on a specially designed gearlever, a process that takes a fraction of a second. With a compact precision engineered drum-style sequential gearchange mechanism, you can be assured of robust, reliable performance. 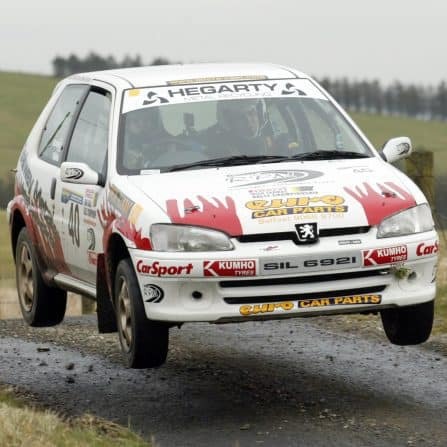 In competitive motorsport, this adds up to a significant performance advantage over a conventional ‘H-pattern’ design. 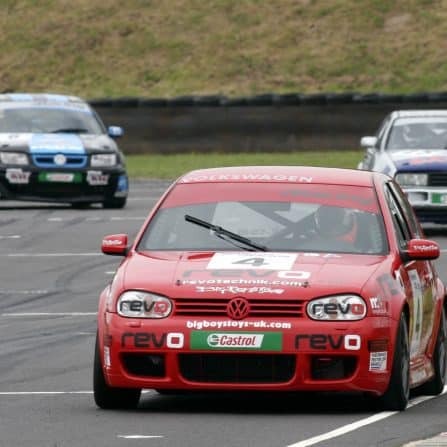 Depending on ECU type and vehicle application, gear changes on the Quaife sequential gearkit can be assisted by an electronic ‘flatshift’ which enables drivers to maintain a wide open throttle and dispense with use of the clutch on upshifts. 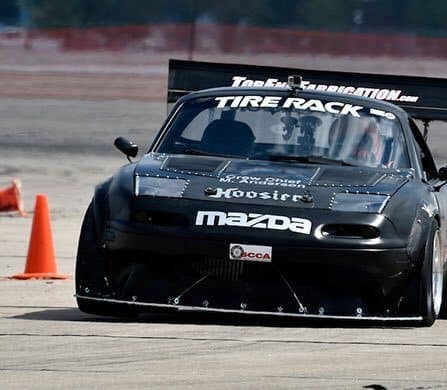 These combined design elements enable Quaife sequential gearkit users to minimise transmission power losses and keep a highly tuned engine operating in its power band while delivering a top speed more suited to competition and trackday requirements. 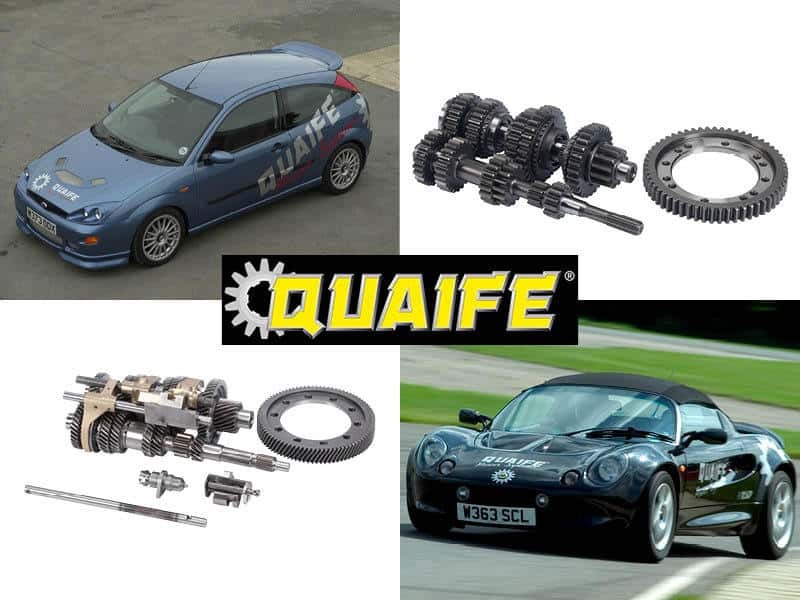 Innovative design means that the Quaife sequential gearkit package reuses the vehicle’s original clutch, differential and driveshafts plus the standard gearbox main casing, while a strengthened bespoke Quaife outer casing is supplied, along with sequential gearlever and operating cable. 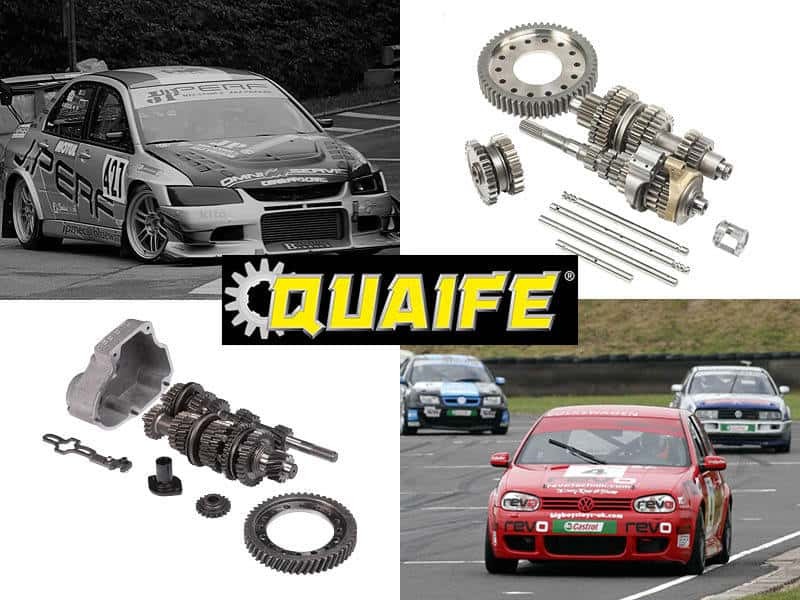 Produced from top quality materials and precision engineered to fine tolerances, the Quaife sequential gearkit is the ultimate retro-fit transmission upgrade for your vehicle. 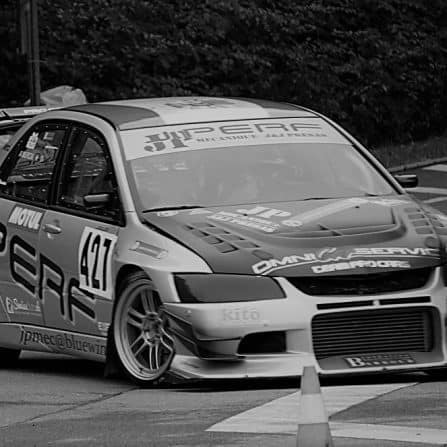 For product selection advice from Quaife’s sequential gearkit range, please contact our Technical Sales Team. 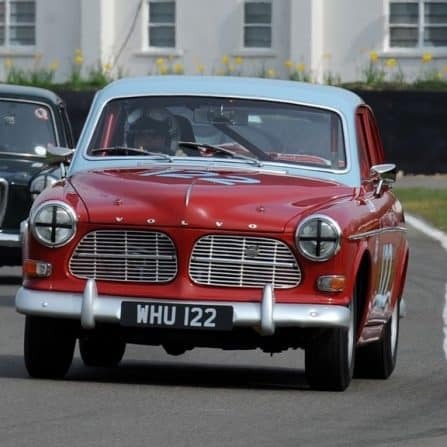 Quaife gearkits for front wheel drive and some mid-engined cars offer significant scope for a user to fine tune top speed and acceleration characteristics as they often include a choice of Quaife final drive ratios. 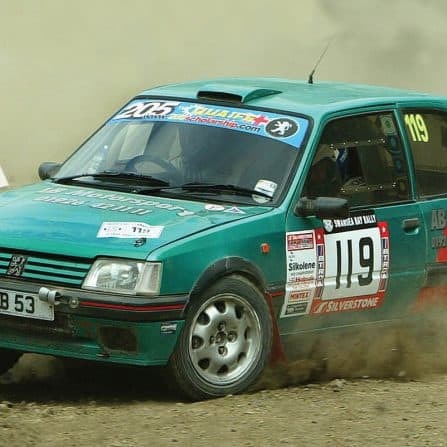 For example, the standard final drive ratio on a 1.6-litre Peugeot 205 GTi is 4.06:1, but this is often changed for a Quaife 4.77:1 unit for stage rally use where a lower top speed and greater acceleration are required in a sport with a mandated 75 mph average speed. Desired Vmax, rate of acceleration, peak engine speed and wheel/tyre combination circumference are amongst the numerous factors to consider when choosing a Quaife final drive ratio. 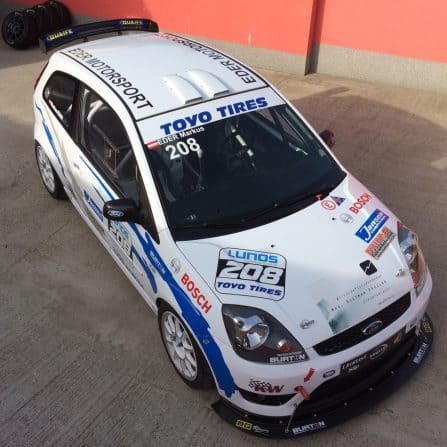 Quaife’s Technical Sales Team will be happy to assist when considering this process.